This website is designed, developed and maintained by Athais Technosoft Pvt. 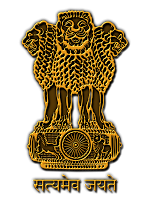 Ltd. for the SEEPZ special economic zone , Department of Commerce, Government of India. Though all efforts have been made to ensure the accuracy and currency of the content on this website, the same should not be construed as a statement of law or used for any legal purposes.